Our light fixtures include a manufacturers no red tape lifetime warranty. 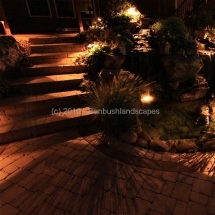 We have fixtures for every application. 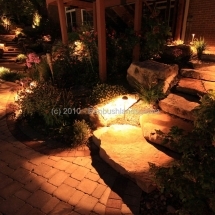 We specialize in low voltage residential landscape lighting Evansville Indiana but have fixtures for commercial or business applications. We use LED’s in all our lights. Why use LED’S? 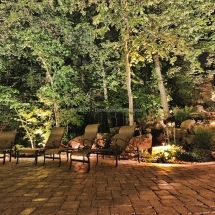 LED’s use 2-3 watts that is nearly 80% more efficient than traditional bulbs. Want to see one of our systems in person? 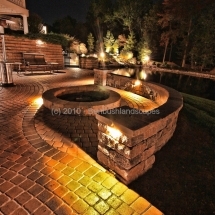 We have happy clients in the Evansville, Newburgh and Henderson area that are happy to show their lighting systems. Don’t use any of our overpriced competitors, call us we wont be beat. 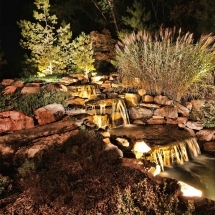 Proud to serve all of the Newburgh, Evansville Indiana, Henderson, Owensboro Kentucky, Southern Illinois area with Low voltage Landscape lights.